How many times in our lives have when been faced with things that we just did not plan on happening? Sometimes it’s a car accident. Maybe the loss of a job. A loved one passes on. A sickness comes out of nowhere. Something happens that just stops life as we know it. Our day to day activities are either altered or come to a complete halt all together and it is out of our control. Often we have no say in the situation and this rocks our boat to the point of capsizing. When we are faced with the moment of understanding that we have no control we kinda freak out. We have been holding on to the remote so tightly that our hands are tired and white knuckled. We have shaken and moved this remote in every direction possible and it seems to have stopped working altogether. When the frustration of the situation sets in we are ready to throw the remote as far as we can away from us begging God to take it. This is the moment when the light bulb pops on suddenly and you have come to the realization you were never in control in the first place. Never. Not from the time of your very conception. When we come to our senses and see that we were created for His purposes and we did not birth ourselves we can finally rest. This is where I reside right now. I have come to a complete stop. I have refused to look past today. How long did it take me to get here? A very long time. Now, I am not one to plan out every detail of my life ahead of time, however I do like to figure things out and sometimes that can be very overwhelming and tiring. Let me show you what I am talking about. Back in April I injured my back at work. I tried to fix it by ignoring it and the pain just worsened. Finally went to the doctor and that started a downward slide of medications and physical therapy only to arrive at the point where I needed surgery. In November the surgery took place and I began the slow process of healing. I was told I would be off work for 4 to 6 weeks and now its almost February and here I am still not back to work. Why? Because I am not the one in control. It’s not easy for me to take time to rest and in these past several weeks I have spent a great deal of time resting and seeking God. Every time I get myself prepared to go back to work, something else happens to delay it, not my choice, God’s. So let’s throw a monkey wrench into this drama just for a bit of fun. The plan 5 weeks ago was that I would return to work on February 8th after my 6 weeks of physical therapy but after a recent visit to my OBGYN I discovered I was in need of another surgery to remove come polyps on my cervix so I have to have a D & C. Guess what day it’s scheduled for? The very day I was planning on returning to work..What??? God what are you doing? I now have to call my boss and tell her that I will not be back as planned until the 9th. (provided I even could) So for the last two weeks I have been dreading going back to work the day after a second surgery. At church on Sunday night I shared my heart with the people who have been on this journey of recovery with me. We have watched God move time and time again. I had finally submitted that this was out of my hands. As I had spent a solid week trying to figure out how I was going to feel and playing out the what-ifs and getting all worked up I prayed. I surrendered. I let it go. I finally chose to live one day at a time without fear. I began to believe that God would not leave me hanging or stranded without a plan. A close friend confided in me that when she first heard I was having surgery she saw it like I was never going to give myself a rest and so God was going to put everything into motion for me, hence the surgery and the multiple extensions of my healing. What happens when you give it up? He moves. He removes doubt. He moves mountains. He takes care of everything along the way. He squashes fears. He shows up and shows off. Yesterday as I was preparing for our team meeting making a dish to pass I received a phone call from my doctors office and they were canceling my appointment for Wednesday and could not reschedule until February 15. My first reaction was: WHAT? What are you doing God? Now I have to call my employer and once again explain that I will not be returning until a later day. Then, as if being covered in a blanket of peace, I hear Him saying, “Be Still and Know that I am God. I am taking care of all things. All of this is out of your control.” And with that being said all of my anxiety left. I no longer have to fear going back to work the day after surgery, God took care of it. I don’t need to worry about my job, I am only following the doctors and I have no control over that. God took all of the decision making out of my weary hands. All I have to do is what is right in front of me. I don’t need to figure out how my boss will react. 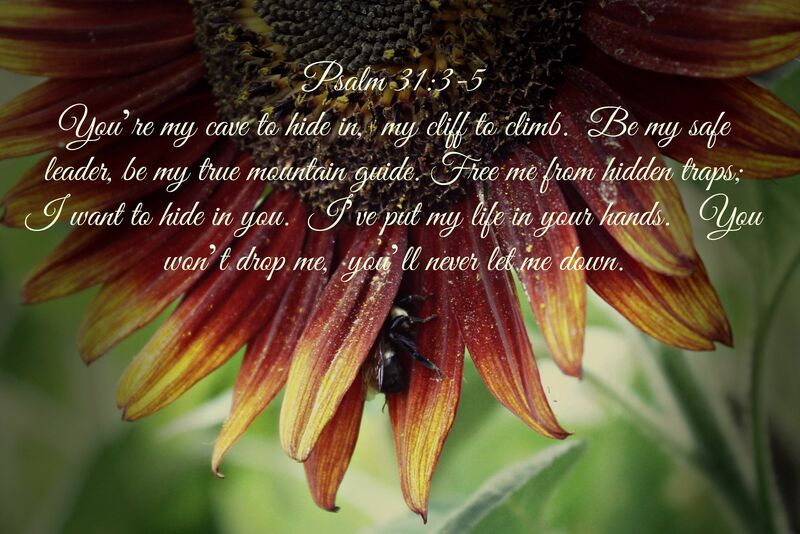 I don’t have to be consumed with figuring all of this out, I just need to be consumed with Him. Thank You for being in control. Thank You for filling me with peace. I stand here surrendered to whatever Your plan is knowing You will always make a way. Help me to stay here on Your promises. Help me to accept that I am not in control. I choose now to render whatever control I think I still have powerless. Thank You for figuring out this life for me so that I can just rest in Your Presence. In Jesus Name. Amen. Okay, what did you see? Did you like the reflection? Did you find flaws? Did you point out anything you wanted to change about the reflection? Was there anything you were happy with? Now, how do you think people see your refection as a Christian? 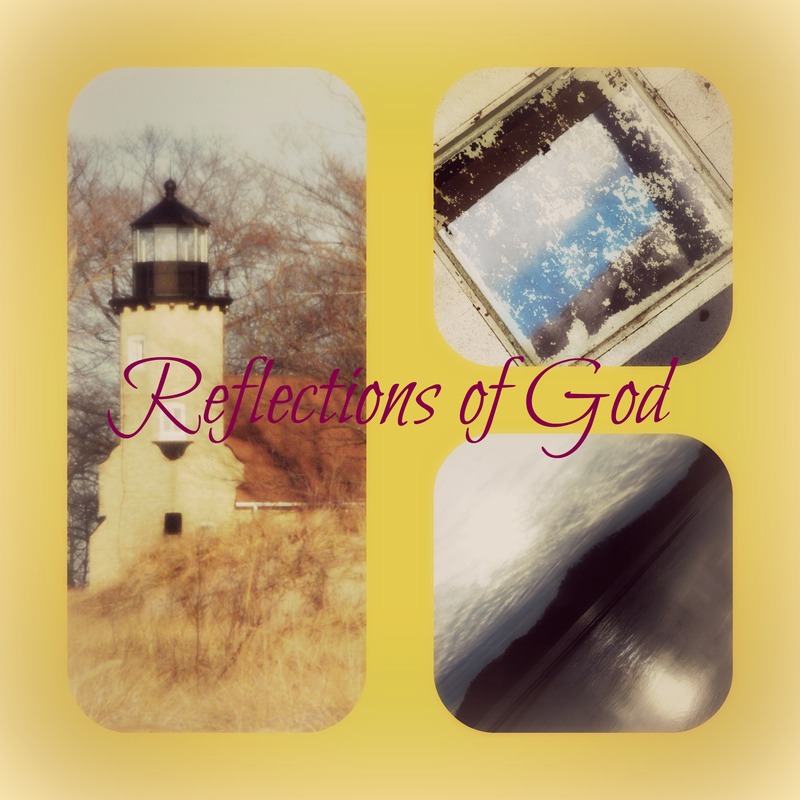 Does the reflection of who you are match up with who God is? Do people want to see something change in you? Does the reflection make people happy or sad? Do you like your reflection of God? I know, these are tough questions but let me lighten the mood and show you I surely am not attacking you or how you reflect God. I “mirrorly” want to show you how to get to the place where you can reflect God in such a way there will be no questions about who you are in Christ. First of all, let me let you off the hook…you are human and humans make mistakes and it’s okay. We cannot come to the place where our reflections match our God until we choose to rest, renew and reflect. We need to remember that from the moment we say yes to Jesus He says yes to pushing the reset button and the process begins. Some things we learn quickly and a result it seen almost immediately. Other changes take time and perseverance. It all begins with listening to God and being obedient and open to His will for your life. Now, the world is filled with mean, unsaved people and our mission is to share Jesus with all of the those people and shed Light into the darkness. I know it’s not easy especially when some of the people knew the former you. They know what you did last summer and perhaps are still mad at what you did. Who knows? We often get caught up in thinking that WE have to doing something to change the world when in reality it’s all up to Jesus! So what I want us to focus on today is simple….what messages are we sending to those around us? Are we reflecting Jesus when we talk about our co-workers? Are we reflecting Jesus when we drive angry? Are we shedding Light into the darkness when we speak harshly to others? We need to understand that being a Christian is a 24/7/365 reality. Yes, we will make mistakes and that’s okay as long as we remember that was just part of our old-self rearing it’s ugly head for a moment. Know that it is not a part of the new you. Let Jesus hit the rest button on that area of your life and try again. How can we keep our reflection one of Jesus? REST. RENEW. RESET. I know it sounds simple…it is! Let Jesus change you from the inside out. Disregard the bad from the world and let God be your vindicator, you are just called to love. Choose to love you. Choose to love Jesus. Choose to love the ugly of this world. When you do all these things your reflection will become all that God intended it to be!